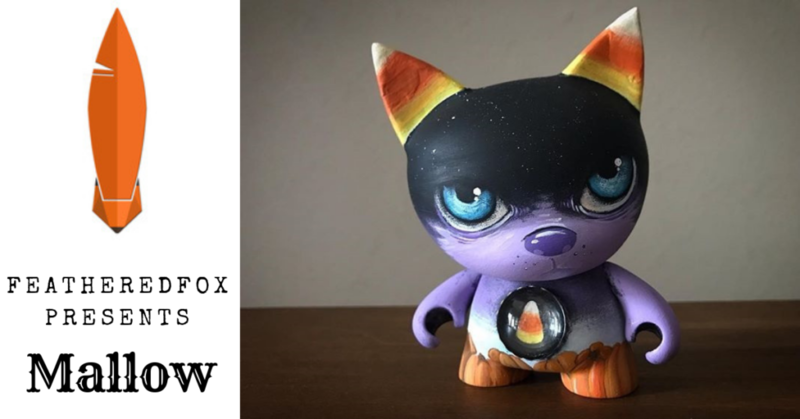 FeatheredFox has definitely captured the Halloween spirit with this cool Trikky custom. At 4,5 inches tall (a little over 11 cm) with pumpkin feet and candy corn ears, Mallow seems like a cute addition to any collection. But don’t let those pretty blue eyes fool you! This cat is full of secrets. Something instinctively made the young child stop in front of the door. Arm stretched maybe an inch from touching the brass handle. Weathered and aged. Much like all features of the house, with one exception. The room with the red door. That was new. What made her stop? Grandmother was coming, it must be her. She waited for the knock. How silly of course it’s grandmother, why must they wait a moment longer? Impulsively, all strength flung against the weight of the leaden door made heavier by its metal embellishments. The bitter bite of cold chilled their alabaster skin. Grandmother? Nothing. There was nothing. A sound, faint like a whisper, reached their ears. Not from the outside. Do you dare to take Mallow home? Get him here for $95 (£75). You can find FeatheredFox on Instagram.